While the #MeToo and Black Lives Matter movements have shaped the debate in the United States, our neighbor, Canada, is going through its own cultural awakening and moment of reckoning. Rising stars like Jeremy Dutcher are giving its mistreated indigenous population a voice through music. 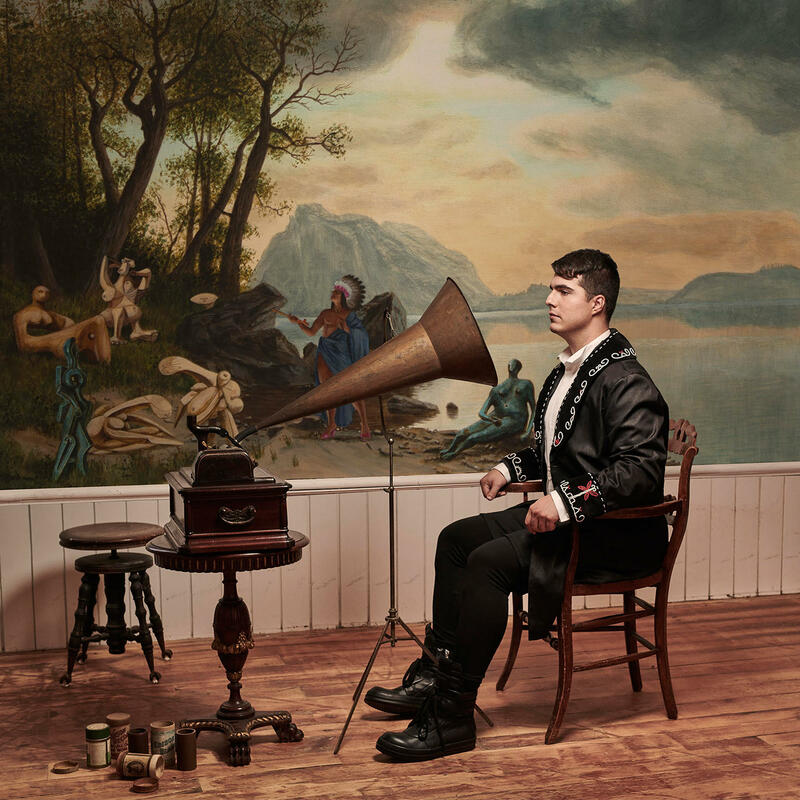 First nation singer and pianist Jeremy Dutcher shares his recording Wolastoqiyik Lintuwakonawa. Four of the last five recipients of the Polaris Prize, one of the highest honors bestowed on a contemporary Canadian musician, have gone to artists reclaiming their indigenous heritage. In the case of Dutcher, a self-taught pianist with classical vocal training, he’s revitalizing the music and traditions of his Wolastoqiyik people. There are only 100 or so individuals who still speak the Wolastoq language, and so those cultural traditions are in danger of being lost forever. For the last five years, Dutcher has committed himself to bringing a spotlight to his ancestors, first by dusting off some folkloric field recordings made by anthropologist Jim Paul and others over a century ago. Those crackling recordings provide the framework for Dutcher’s critically-acclaimed recording Wolastoqiyik Lintuwakonawa, an album that adopts his First Nation melodies and reimagines them in a contemporary setting. At his live performances, Dutcher actually plays samples from those archival recordings in the context of new arrangements, compositions written for his angelic voice, piano, and sometimes orchestra. Jeremy Dutcher comes to Mundial Montreal, North America’s World Music Summit. He will perform in Montreal’s Le Gesù on Nov. 15. Leyla McCalla has traveled a winding path as a musician, from the European classical canon to the folkways of her Caribbean heritage. Born into a Haitian-American family in Queens, she was raised in Maplewood, and brought up in the New Jersey public school system. Leyla McCalla on her voyage to becoming an original Haitian-American artist.